After enjoying being with all of you for the last 3 years, the decision was taken to leave and go our separate ways. These have been 3 spectacular years, both on a sporting and a personal level. Together we were part of an unforgettable promotion, and together we have enjoyed these two years in the first division. For me this last season has not been a good one, but I am leaving with my head held high, knowing that I have given my all for this club, for this shirt. I’ll take with me the memories of everything good that I have lived here. I’ll remember the fans who have come to Ipurua every weekend, supporting us from the first minute and the people of the city who have treated my wife and I so wonderfully. And, of course, my teammates with whom I have shared a dressing room during my time here and all the office staff and the people closest to me day to day. (Virgilio,the cooks Mari and her Daughter Olatz and my great friend Zapico and grandfather Aja) To you all my heartfelt thanks. 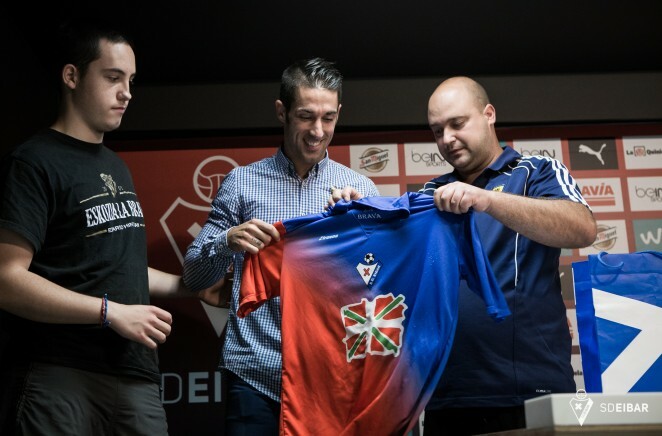 I hope to see you again, I will be playing for the other side I guess, but that doesn’t matter, I will be proud to come back to my HOME, EIBAR.